Massive 5 bedroom, 1000 square metre, Luxury Villa For Sale in Phukets most famous jetset resort - Andara Kamala Phuket. Last Penthouse for sale at Mandala Condominiums, Foreign Freehold! Safe investment with direct ownership in your name, no lease or company structures required. Kata Beach Penthouse with outstanding panoramic sea views, encompassing both Kata and Karon Bays, this property is classed as a duplex penthouse freehold condo, but is essentially a good-sized villa. Spectacular 550 sqm penthouse with rooftop pool and garden and 7m high ceilings. Decorated and furnished by renowned Thai designer, Worawut Tantipisnu who designs for the Six Senses Hotel Group. Beautiful Resale Villa in the long sold out Trisara 5 Star Beach Resort. Established in 2005, Phuket Properties Co Ltd Real Estate Agency helps clients from all over the world find the best real estate in Phuket for their individual needs. We have hundreds of real estate listings in Phuket to offer at any one time, far more than most of our competitors can offer homebuyers and property investors, so it suffices to say that you're certain to find the ideal property in beautiful Phuket should you choose to search for an apartment, house, land, or villa with Phuket Properties. So, whether you're looking for Phuket property for sale or for rent in Patong, Kata, Karon, or any of the most popular areas to buy or rent around this island paradise, our expert team with more than 35 years combined Phuket real estate experience looks forward to assisting you with all your property buying or renting needs. For Love Of The Ocean - Browse all listings that are located within walking distance of the beach and/or have seaviews. Investor Alert: We have picked out some of the best property deals on the market. We send the best opportunities to our investor mailing list. You can access the latest alerts here! We have over 500 Property Listings in Phuket and Southern Thailand in our database. Click button below to browse them all. Phuket Guide: The Island Lifestyle! We love Phuket! Therefore we list beach clubs, golf courses and more to help you enjoy some quality time on the island. Search by entering listing id #. Search by free text to search all listings' descriptive text - "golf", "Andara". Search by entering the max price and filter out all listings over budget. Read about the most popular Phuket neighbourhoods, click on the buttons to find properties available in each area. Naiharn is located near the southern tip of Phuket. The neighbourhood is famous for the beautiful beach and the landmark viewpoint Promthep Cape where you can watch the sun set in the Andaman Sea. The area is very popular among long term expats and teeming with restaurants and many nice affordable pool villa estates. Kata Beach is probably the most popular family tourist destination on Phuket. The beach has a small uninhabited tropical island just offshore that creates a scenic view. Land prices in Kata are very high, prices driven up by all the hotels. We have a selection of condos, penthouses and Luxury Villas to browse in the Kata Bay Neigbourhood. Karon is an enormously popular family oriented beach, conveniently located just south of Patong. The beach is one of Phuket's bigger beaches and offers fine sands, many restaurants and activities. Due to high land prices most of the properties to buy in Karon are condos. Patong is the tourist hub of Phuket and offers all conveniences. Patong is great if you like sunbathing, shopping, fun and nightlife. Patong is a good location to buy if you are looking at a nice rental return on your property investment due to high occupance rates. Kamala is a 3 km long golden sand beach, popular among expats, locals and tourists alike. There are properties in all price ranges to buy in Kamala. Along the coast you will find some of Phuket's most exclusive Luxury Villas lined along a scenic ocean drive called "The Millionaire's row". Surin is small bay north of Kamala. It is dominated by the beach and a large green hill, lined with luxury villas. The hill is just by the beach; Just a short stroll down to the beach or to one of all the social happenings at popular venues such as Catch Beach Club or the Sunday brunch at Twin Palms. Bangtao Bay has an 8 km long beach. The southern end is often called just Bangtao, the middle part Laguna and the northern end Layan. The bay is popular among expats. There is a rich social scene in the area. Many beach clubs and Sunday brunches where the expats can get to know each other. Laguna is the middle part of the 8 km Bangtao Beach. Laguna is home to many 5 star resorts such as the Banyan Tree and The Sheraton. The beach is very swimmer friendly during the high season and Laguna has all the conveniences you need, such as the Banyan Tree Golf Course. Naithon is, together with Layan, Kata and Naiharn, one of Phuket's perhaps most scenic beaches. Naithon was voted Thailand's best beach by Sweden's biggest evening newspaper. The bay became popular among property developers comparatively recently and it offers seaview and ocean front properties. NaiYang and Mai Khao are very beautiful beaches located near the airport. Parts of Maikhao will get some air traffic noise while Nai Yang is mostly quiet. The areas are conveniently located for buyer's based in Hong Kong and Singapore that come to Phuket frequently during long weekends and closeness to the airport saves travel time. Chalong is Phuket's southern hub and very popular among expats. The area has a pier lined with seafood restaurants, a small marina, a couple of golf courses and many schools for expats' kids teaching in western languages. There are a lot of houses available in all price ranges for sale. Natai is located just across the bridge north of Phuket. Natai offers relatively affordable luxury properties located on the beach. The beach is specatacular and the bay is just 40 minutes from Phuket International Airport by car. All said, Natai is worth a look if you are hunting for a villa on the beach! Cape Yamu is located on the east coast of Phuket. The Cape is a popular home base to many of the islands yachties due to it's proximity to The Phuket Boat Lagoon and The Royal Phuket Marina. The Yamu Cape is lined with luxury villas due to the breathtaking vistas over the ocean and Andaman archipelago. With more than 500 property listings at any one time, we've earned an excellent reputation as the Phuket real estate agents with the best and broadest range of real estate on the island, a reputation we've worked hard for and one we intend to keep. 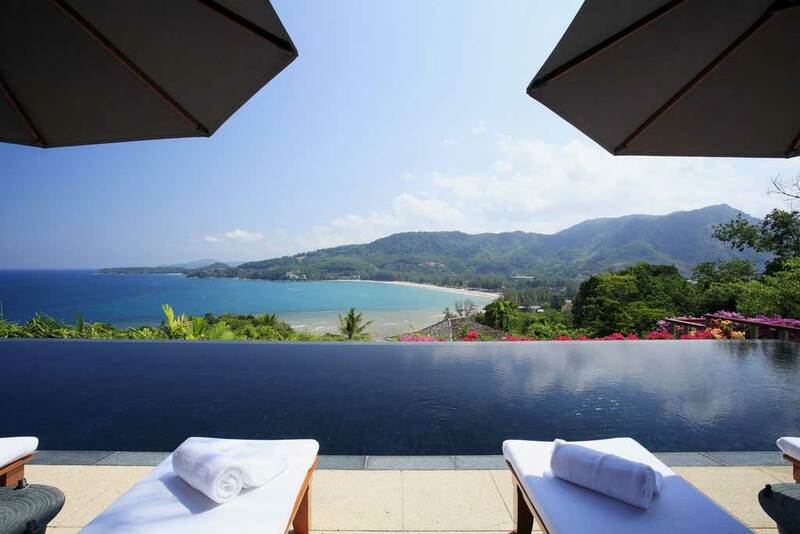 Looking for the best Phuket rental properties, houses, villas, or condos for sale? We have Phuket properties for rent and for sale in the most popular areas around the island, as well as a number of new areas that many homebuyers and property investors are yet to hear about, so please take a look at our latest listings above. A Little About Us and What We Can Do For You Phuket Properties Co Ltd Real Estate Agency is a team of dedicated real estate specialists who love Thailand and want to help our clients find a home here in Phuket. We can answer any questions that you may have in a variety of languages, including English, French, Russian, Swedish and Thai, and our agency is considered one of the most international and dynamic teams of property experts on the island. We have helped clients from all over the world search for and purchase property for sale in Phuket, and we can help you with every aspect of the property buying process, from identifying the best houses and condos for sale in Phuket right through to arranging the required legal services and picking up the keys to your new home. We can even pick you up at the airport when you arrive and take you to view the broad selection of properties around the island of Phuket that we represent in one of our ultra-comfortable air-conditioned SUVs, the ideal way to get a feel for Phuket. The Services We Offer As there are hundreds of properties for sale and rent on the island we recommend that you work with a real estate agent to help you avoid any potentially unsafe deals. Whether you're looking for Phuket villas for sale, or have your heart set on buying land for sale in Phuket, we can help you to understand the legal aspects of buying a home in Thailand, and we can introduce you to any of the major international legal firms that operate on this exquisite Thai island. What's more, we can also help you with practical issues such as opening a Thai bank account and finding furniture for your new house or apartment, so it's safe to say that our services are not only professional, but comprehensive too! Whether you're interested in Phuket house rentals or buying a home of your own on this island paradise, we're here to help you with all your Phuket property needs. We not only can help you with buying a place in Phuket but we also provide rental services too! As we want to provide the full service here at Phuket Properties Co Ltd and ensure our clients and customers can get all they need from a property agent with us, we also can help you in finding the perfect rental property - long or short term stays on the Island. Again we have an extensive variety of properties to suit most budgets and requirements displayed on our website, but if you do not find what you are looking for while having a browse then please do not hesitate to get in touch with us and we will endeavor to find the right property for you. We pay great attention to detail and have an approach to our work where we take great satisfaction from placing our customers in properties where they will fully enjoy the experience in this tropical paradise. So we will find the right property for you and ensure that you settle in well and know about all the local amenities, beaches, cuisine and nightlife. We look forward to hearing from you soon. Mr Carl Dufvenmark is a co-founder at Phuket Properties Ltd and has worked in the company since 2005. Mr. Carl speaks fluent English, Swedish and Thai. Mr Carl is located at our Bangtao Offices in Phuket and is available for property inspections. You can reach him on his Thai mobile at +66(0)819684807. Mr. Johan is a co-founder at Phuket Properties and has worked in the company since 2005. Johan has lived in Thailand for 12 years and speak fluent Thai. Johan is currently located in Europe and can answer your questions in English, Swedish, French or Thai. You can reach him at +46(0)732444045. Mr. Nathanial has worked with Phuket real estate and for a developer selling houses in Phuket since 2006. He is a licensed broker in Australia and Hong Kong. Nathanial is currently located in Melbourne Australia and can help advice you in English. Oliver, our newly appointed Sales & Marketing Manager here at Phuket Properties, will be driving the Green Season Fire Sale campaign for our valued developers and sellers. Oliver is a German national and living on Phuket island for almost 12 years and has a wealth of local knowledge. Oliver is a boutique villa developer himself and is very knowledgeable in property management, service and rentals. Our mission statement reads: "To help our customers buy the best property available on the market for the customer's needs". Sometimes there is an easier sale, but our ethical compass tells our team to look for the best property for your needs and not the easiest sale. In order to help you find the best property on the market we have to make sure we have more properties to choose from than our competitors. At the time of writing this text, we have 586 properties listed for sale. If you click this link: All Property Listings you will see today's total of properties for sale and rent we have listed. Please feel free to contact us even before you have arrived in Thailand. We can often recommend you the best areas to spend your vacation and often know what airline and hotels that can offer you a good deal for your visit. If you are somewhere in Asia, you may have a short flight here. Perhaps want to start looking at property as soon as you arrive on the island? We can pick you up at the airport, drive you to your hotel and then perhaps go for a short spin to have a first look at what properties suitable for your needs we have to offer. If you a more relaxed person you may want to chill for a few days before starting to cruise for properties - don't worry, when you are ready, we will take the time needed to help you feel that you have seen all the properties you need to see in the time it takes to see them. Many clients spend several days looking at all the properties on the island and then go back to the best offers for a second look. Don't buy property in Phuket until you have read our free guide! 7 Things you must know to successfully buy your own home in Thailand.